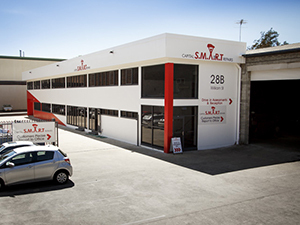 Our S.M.A.R.T Centre at Brookvale is located on William Street. If approaching from Pittwater Road we are on the left, opposite Corrie Road. Please follow the sign from the entrance of the driveway, and drive through the right roller-door into the assessment bay . Please walk into reception where you will be greeted by Customer Care.